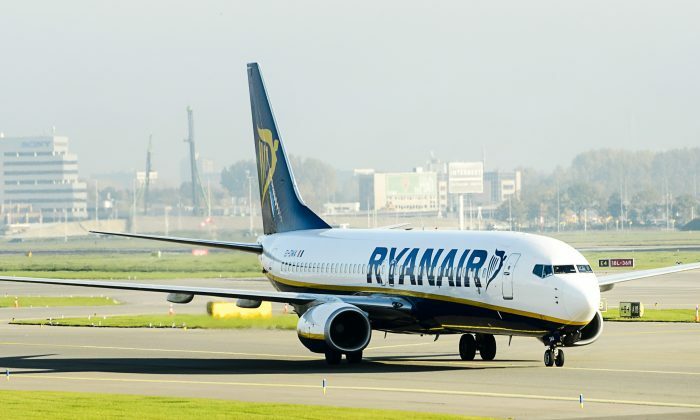 A Ryanair passenger who was denied beer by flight crew was arrested on May 5 for shouting out a bomb threat while his plane was preparing for landing. The man was traveling from Tenerife to Santiago de Compostela, in northern Spain. The man was upset that flight crew refused to give him a beer, so he retaliated by claiming there was a bomb on board, according to local reports. “Yesterday Ryanair Flight 1123 from Tenerife Sur to Santiago requested the activation of the local alert in Santiago airport because of an incident on board,” a spokesman for Spanish airport operator Aena told The Local on Friday. “The alert was activated and when the flight landed at 21.23 it was met by National Police and Guardia Civil. The alert was deactivated at 21.50,” the spokesman confirmed. As the plane was getting ready to land, the man leapt out of his seat, ran down the aisle and shouted, “There’s a bomb! It’s going to explode!” according to local newspaper El Correo Gallego. According to Mashable, the pilot immediately alerted ground crew at the airport of what had transpired. When the flight landed at 9:28 p.m. (local time), the plane was surrounded by police—they were waiting for the man. Passengers were told to remain seated as they checked the man’s suitcases for explosives. When nothing was discovered, agents from Spain’s Civil Guard removed and detained him. “The crew of this flight from Tenerife to Santiago requested police assistance upon landing at Santiago, after a passenger became disruptive in-flight, who was removed and detained by police.” Ryanair confirmed in a statement to The Local.